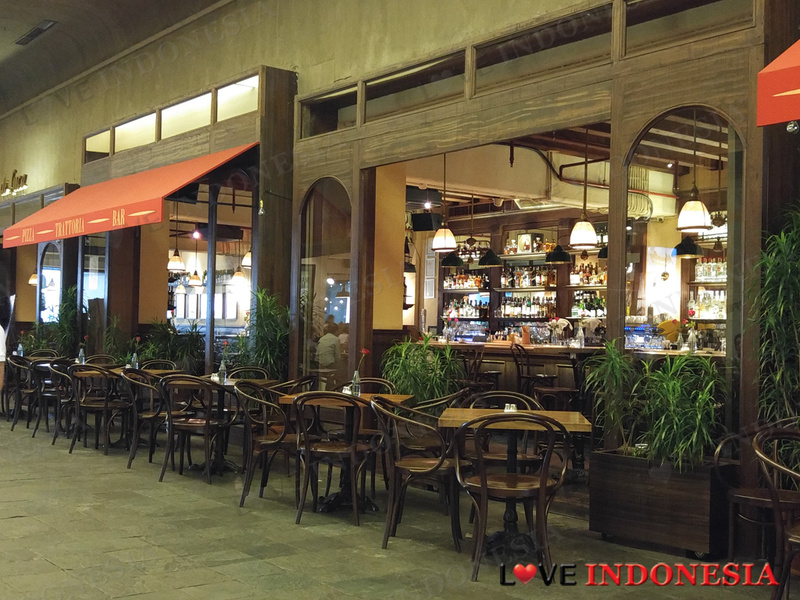 Located in one of the funkiest spaces at Plaza Senayan, De Luca has renovated over a furniture store located in the parking lot into a strip of a beautiful cafe. The newly decorated area, properly ventilated of course, is truly a brilliant idea. De Luca's open area, wooden panelling and furniture makes this place quite enjoyable for you to have a business meeting, or catch up with friends and dish out on the latest gossip or even catch up on work. This place is always busy and people come to De Luca not only because of the place but they all come here to eat obviously. 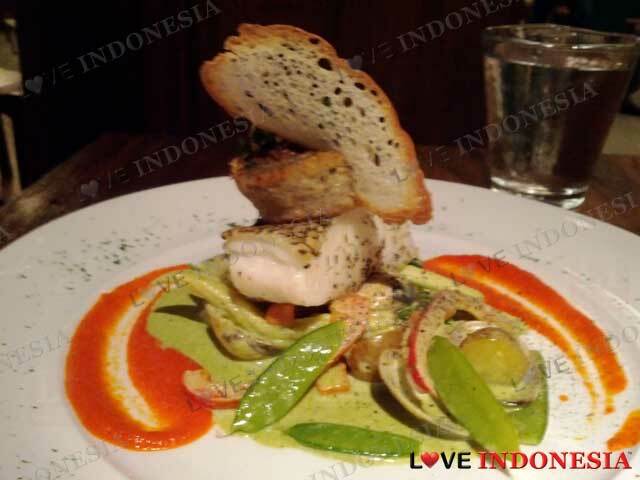 The food at De Luca is pretty straight forward as they serve good traditional Italian food. 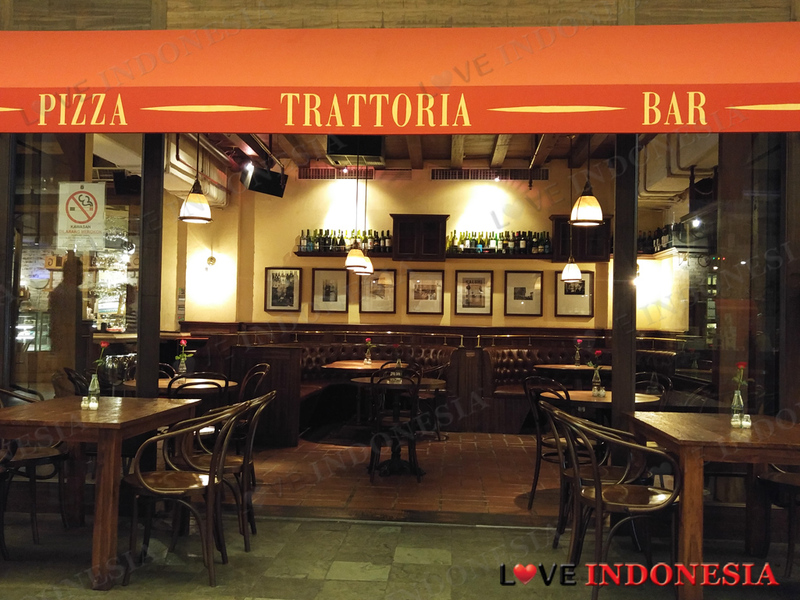 They have designed their menu so that you can enjoy the best of Italian dishes from start to finish. What we find very impressive in their menu is their Primi Piatti section where you get over 5 different types of pasta in 3 categories of Creamy, Tomato and Aglio Olio sauce. It does not matter if your dish is vegetarian, wood-smoked seafood or even beef sausages, you still get your choices. Another impressive option is the Risotto, and they serve 3 different types with mushroom, Pomodoro sauce or cheese. We recommend the the creamy mushroom Risotto which comes perfectly cooked with creamy broth, cheese and shaving of parmesan. For those of you who prefer to share your meal, we recommend their very generous serving of Pizzas. The usual suspects os Marinara, Melanzae, Margherita and Frutti di Mare are available. Of these choices, we highly recommend the Bresaola Pizza with Pomodoro sauce, grilled mozzarella and finally pieces of bresaola which is their dried and aged salted beef. Overall we can conclude that their menu has been created with some serious thought put into it, as the presentation and most importantly the quality of their food is a topper with reasonable prices. P.S. smooth cocktails here as well ! saya salah satu penggemar pasta vongole. sblm ke de luca saya sempat membaca beberapa review dari internet dan ada yang mengatakan bahwa vongole aglio olio nya the best in town, saya pun penasaran, begitu mencobanya, wah bener" the best in town! bumbunya yg simple tapi berasa banget. saya pun skg hanya ke de luca setiap kali ingin aglio olio vongole nya sampai saya bisa nemuin yg lebih enak dari de luca :p. untuk harga pastanya tidak terlalu mahal. rata-rata IDR 55 - 70 an saja sblm tax. tempatnya lebih cocok buat makan saja sih kalo bagi saya. We saw this restaurant that seems to be a "happening" place and decided to try. There were 6 of us and we got the biggest table in the house, which was kind of small. Sitting comfortably was a challenge, since i was having problem resting my feet as the table's legs were in the way, and yet I couldn't positioned them at the back as the chair's bottom got a bar which prevent me to do so. The chair was high and the table was low. Very uncomfortable. I thought i was the only one having problem sitting comfortably, until i saw the next table. It was a table for two, and the lady had to sit sideway, coz there was no room for her legs!! Clearly, they didn't try to sit down when they bought those furnitures. The food came, sure enough waiters were having problems with the table space. The plates were big while the table top was small. We had to finish some food quickly to make room for other food. The food itself was actually pretty good. However, I feel it's not a good value for the money. I've been to other restaurants with same food quality, but they were cheaper or bigger portion. I would probably go back occasionally, but next time i would be very picky with the table choice. Will not choose those uncomfortable ones. What is near "De Luca"?